Pomegranate extract capsules 100 pcs. Shepherdia (Hippophae rhamnoides) capsules 100 pcs. Bio+Active T-Spelt-germ (German wheat-germ) capsules 250 pcs. 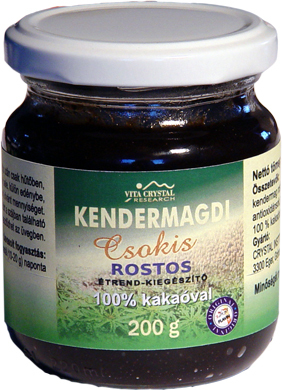 Effects of hempseed fibres : they help to prevent cancer, lower ageing processes, support vision, recommended in case of iron deficiency, hyperacidity, but it has got some antiphlogistic properties, too. 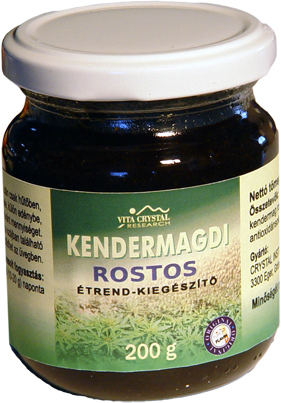 Regulates blood sugar levels, lipid metabolism, strengthens vein-walls, connective tissue system of lungs, digestive system, besides preventing dental caries and supporting protection of dental enamel.